Have you ever started having a conversation to yourself out loud? Or wonder if you still need to feed the dog, forgetting if they’ve already been fed? Maybe your mind’s just overloaded. It’s a fact – if you’re embarking on a building project your brain will be working in overdrive! There is a way to help make for a focussed and memorable building experience however. Research continues to prove that a regular mindfulness practice can slow us right down enabling us to interact, be more engaged and intentional with our environment. Our minds de-clutter as we simplify our thoughts – and generous clarity is achieved. We always have our eyes fixed on the end result – the breath taking completed project. But it’s the path you take along the way that will offer the noticeable reward. How are you going to approach the project and work successfully alongside the team you’ve engaged? How will you communicate your values? How do you want the spaces to make you feel, and how do you gain simplicity, authenticity and quality in your design? As we all know the quickest most efficient way isn’t always the best. “We need to keep our ears, mind and eyes wide open by mindfully approaching the journey rather than rushing form A to B. In a world today where we’re often looking down – at iPhones! 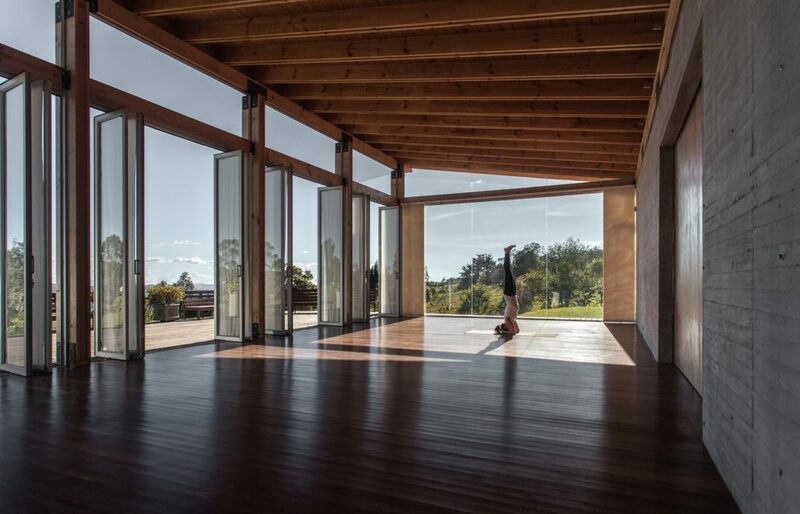 – we need to start looking up and out,” says yoga expert and architect, Paulina Shahery. Today many people are turning to meditation, yoga or other mindfulness practices to gain clarity, and calmness. In the field of architecture it additionally keeps in check project honesty and integrity, and provides immense help in decision-making. 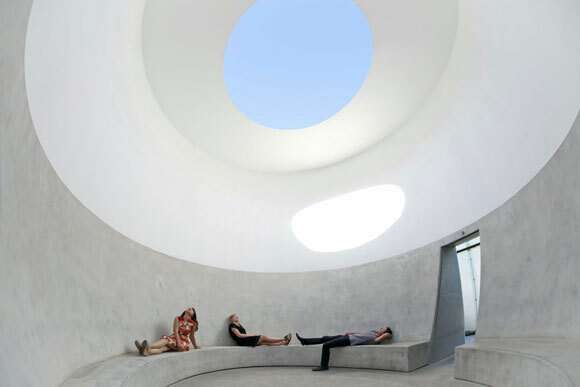 Architects also benefit creatively, exploring new pathways from the moments of stillness. Meditation and yoga also contribute in lessening one’s ego, increasing empathy, lessening judgement, releasing tension, and enabling improved listening. People’s thoughts become less linear and more open to creativity and inspiration. With the open body stretching experienced in yoga, a person’s mind is more open to ideas, people and stimulation. Vietnamese Architects, Vo Trong Nghia, implement a 30-minute talk and meditation session daily in their practice. “Especially during a hectic day, it allows my colleagues to find clarity in to-do lists, calm in complex projects, and space for honesty regarding the intensity of our profession,” says Vo Trong Nghia. If you’re about to undertake a building project, undoubtedly you’d launch into yoga or meditation and mindfulness wouldn’t you? The clarity of evidence seems to speak for itself.